AOC has introduced two new curved gaming monitors as part of the AGON family, the AG322QCX and the AG272FCX. The new monitors feature rather high refresh rates along with VESA’s Adaptive-Sync technology (which generally means support for AMD’s FreeSync). The displays have a number of similarities, but are aimed at different segments of the market, with varying prices and feature sets.. 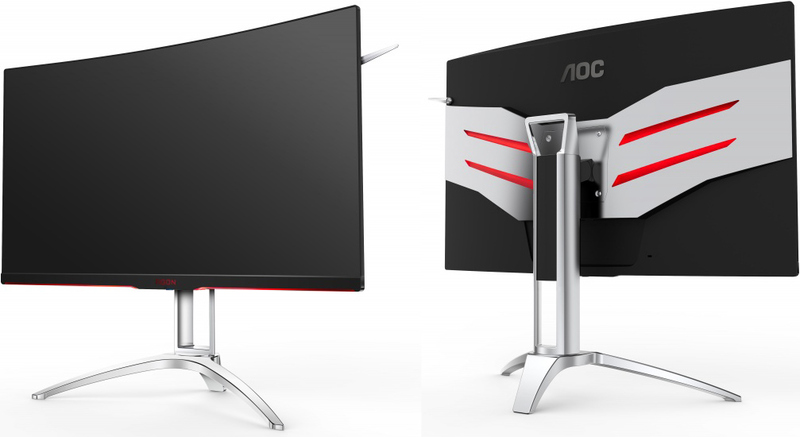 The AOC AGON AG272FCX is the smaller of the two and uses a 27” VA panel with 1920×1080 resolution, whereas the AOC AGON AG322QCX is the larger one and features a 31.5” VA panel with 2560×1440 resolution. The monitors have 1800R curvature, a 16:9 aspect ratio, as well as refresh rates between 48 Hz and 144 Hz. The general specifications of the displays resembles those of many other gaming monitors: 250/300 nits brightness, 3000:1/2000:1 contrast ratio, 178°/178° viewing angles, 16.7 million colors (and the sRGB color gamut), a 4 ms response time (grey-to-grey) and so on. The monitors support VESA’s Adaptive-Sync technology, and I expect it's only a matter of time until AMD certifies them for FreeSync. As for connectivity, the AGON AG272FCX has a D-Sub(! ), DisplayPort, and two HDMI inputs, whereas the AGON AG322QCX comes with two HDMI and two DisplayPort inputs. The smaller display also has a dual-port USB 3.0 hub as well as integrated 3 W stereo speakers, two logical features for an entry-level monitor. By contrast, the larger screen is a much more straightforward pure monitor, which is par for the course as higher-end monitors rarely ship with speakers since customers usually already have external speakers/headphones. A more important drawback is the lack of any HDCP support on the AG322QCX, which greatly limits the monitor's ability to be used with protected HD video content such as Blu-rays or Netflix streaming. Launch Price £389 ($485) in the U.K. £519 ($647) in the U.K. When it comes to visual aesthetics, the new AGON displays feature ultra-thin bezels as well as an aggressive design that highlights their gaming nature. Furthermore, the monitors have four large LEDs with adjustable colors (red, green, blue) located on the back and two located on the bottom edges of the displays. 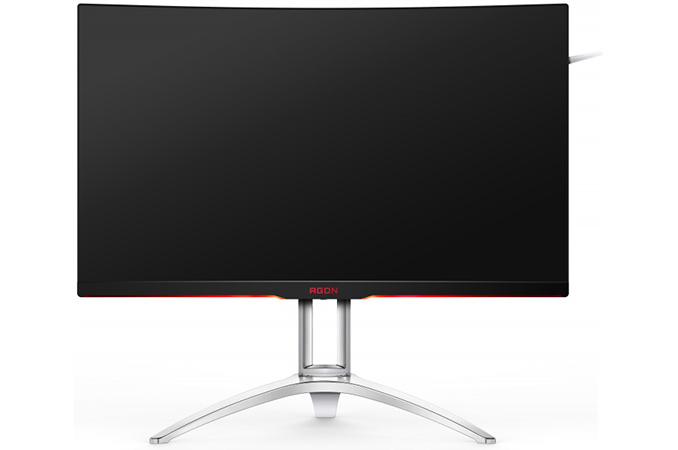 The addition of these latest AGON displays brings AOC to a total of four curved monitors introduced under the brand in the last few months, joining the company's previously launched ultrawide curved monitors and making these the company's first curved 16:9 monitors. So it appears that AOC is pinning a lot of its hopes for the AGON brand on curved gaming screens with high refresh rates designed for gamers. AOC’s AGON AG322QCX and AGON AG272FCX monitors will be available in May. The exact MSRPs of the displays in the U.S. and Continental Europe are unknown, but Hexus reports that in the U.K. they will cost £519 ($647) and £389 ($485) respectively. At announcement time, the rumor mill was suggesting $1000-2000 depending on whose rumors you like best. Since it hasn't launched yet, that's all we know. Finally the monitor is released that I've been waiting for to upgrade from my current 27" 1920x1080 60hz VA monitor.